Guess who is the new face of face painting for Parents.com / Parenting.com / Family Fun? THIS girl! That's right, America! You can now watch me as I show off my tricks of the trade from the studios at Parents Magazine! Only a couple of videos have aired so far, but we taped several so far. They will be released over time. And new ones will be taped soon! For those of you who are curious to know, I purchase my face painting supplies from my favorite store on the planet, Silly Farm Supplies in Davie Florida. My favorite brand of face and body paint is FAB. 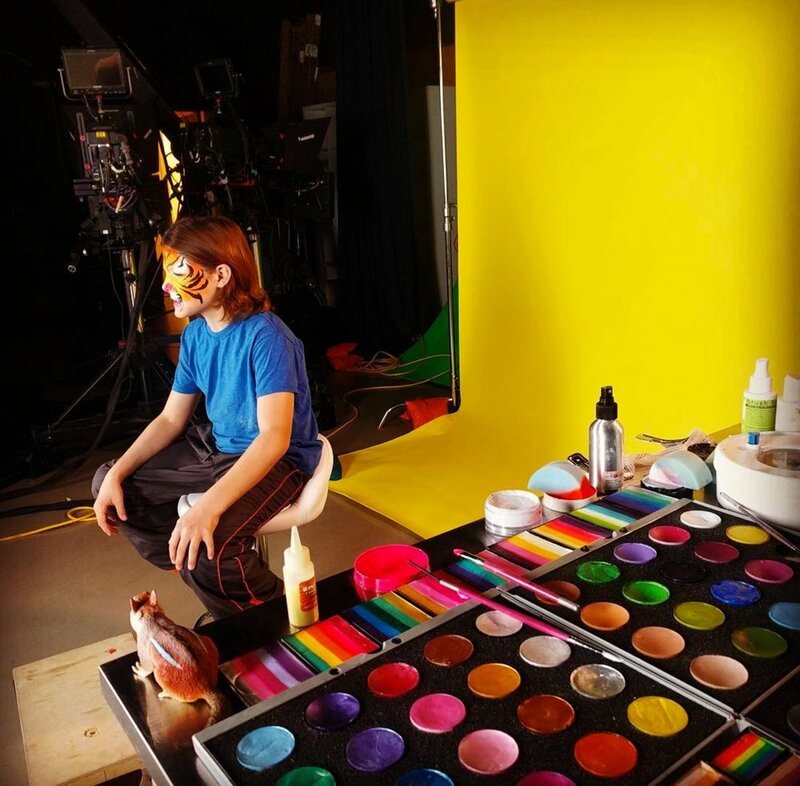 If you would like more in depth classes on face painting, I encourage you to subscribe to FABA TV! I started out by learning from FABA TV, and now I am one of their many talented instructors from all over the world who teach you from the comfort of your own home. So subscribe to FABA TV today! I am so honored to join the Parents.com family, and huge thanks to my producer Dan and executive producer Annie for this incredible opportunity! See me paint a butterfly here! See me paint a princess here!